Ag News and Views is hosted by Huntley resident, Arlen Higgs. As the title of Arlen’s show implies, Ag News and Views is a forum for Arlen to provide his listeners with current news and his well-qualified views about a variety of agricultural, food, and energy related topics. Arlen grew up on a general livestock and grain farm in Peoria County, IL, and was active in 4-H and FFA while growing up near Brimfield, IL. He attended the University of Illinois College of Agriculture and served as an Assistant Farm Adviser in Lee County, Amboy, IL, for the University of Illinois Cooperative Extension Service. 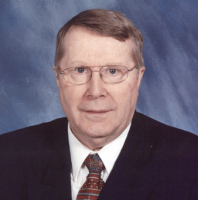 Over the course of four decades, Arlen worked in both the agricultural and banking industry, and owned a real estate and appraisal firm shortly before retiring. Arlen’s career included positions in Fertilizer and Farm Chemical Sales with FS, ARCO and International Minerals and Chemical Company; as an Agricultural Loan Representative with the First National Bank of Triumph, IL; as an Agricultural Loan Officer with the Southern Arizona Bank and Trust Company and with the First National Bank of Greeley, Colorado; as a Loan Officer, Executive Vice-President and later, the President of Polo National Bank, Polo, IL; as Senior Vice President/Senior Loan Officer and member of the Board of Directors of the Farmers & Merchants State Bank of Bushell, IL; as the President and member of the Board of Directors of Farmers State Bank of Camp Point, IL; and as Manager of the Canton Branch of the Union National Bank of Macomb, IL. In addition, Arlen has served on several business councils and committees, including: serving as President of the Chamber of Commerce for the Illinois towns of Canton, Polo, and Camp Point; as President of the United Way Board in Canton; member of the Agriculture Extension Council in LaSalle, Adams, and Fulton counties; member of the State Extension Advisory Committee in Urbana, IL; Chairman of the Community Banker’s Association Insurance Committee in Springfield, IL, and member of the University of Illinois Alumni Association; Lions Club; and Toastmasters International. Click on the “Shows” button in the right column of this page to view the “Ag News and Views” broadcast schedule. Listen Below to Previous Broadcasts of Ag News & Views that interest you.